Of all of the custom enclosure styles we can manufacture at Protocase, the U-Shape is the one of the simplest to both design and build. 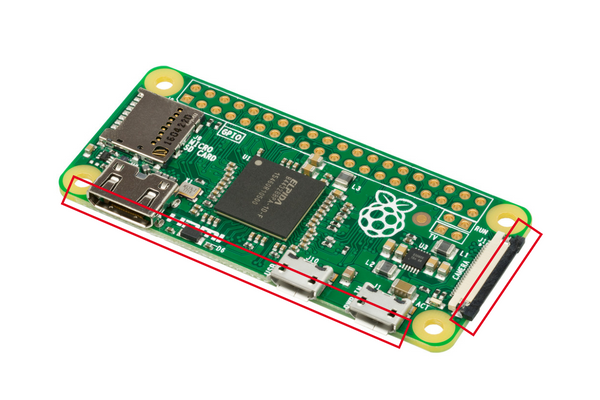 Also known as a “clamshell” design, U-Shape enclosures are an excellent choice for printed circuit boards when a component protrudes from adjacent sides, such as a Raspberry Pi board displayed below. A U-Shape enclosure will work for PCBs with components that protrude from neighboring (adjacent sides), because of the make-up of a U-Shape enclosure. However, if your enclosure needs to accommodate a component that protrudes from opposite sides, such as a PCB with opposing connectors, the U-shape style is not going to work. Because the connectors protrude through each side of the enclosure, you will not be able to insert the PCB in a U-Shape enclosure unless you stretch at least one enclosure side, in which case the enclosure will most likely be out of position when you bend it back. This brief blog post will show you how using an L-Shape enclosure design instead will allow you to slide the board into your enclosure from one side without having to do any bending. 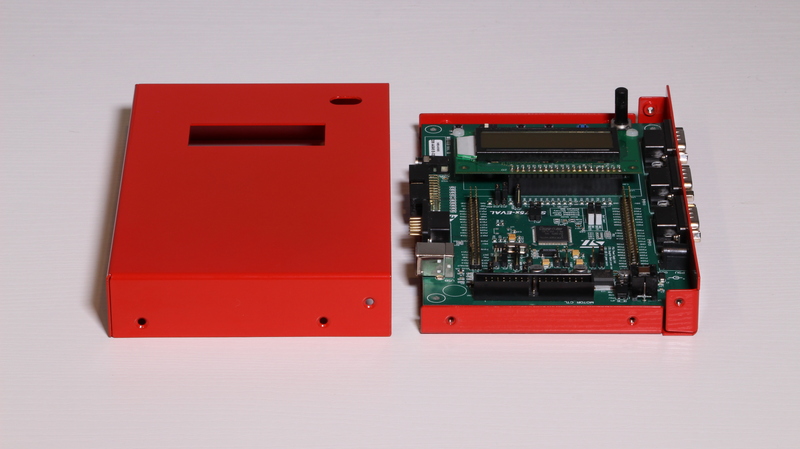 Here’s a bird’s-eye view of an L-Shape enclosure in two pieces, along with a PCB with protruding connectors. Slide the PCB into the bottom piece. Slide the top piece over the bottom piece with the PCB in place. Use your desired fasteners to put your enclosure together. One thing to note: You may notice the connector protruding out of this specific L-Shape enclosure, and wonder why the cutout is slotted to fit over the knob. We designed this particular enclosure in such a way so that the cover would be able to slide down and over top of the connector. 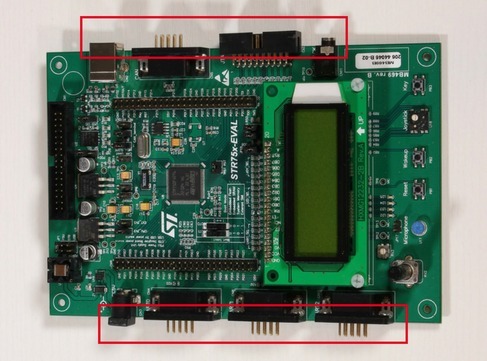 A U-Shape enclosure’s cover would be able to just drop directly over the connector, which would negate the need for a slotted hole – but as discussed, a U-Shape wouldn’t work well for this particular PCB because it has connectors protruding from opposing sides. U-Shape and L-Shape are simple enclosure styles that are popular and relatively easy to manufacture. 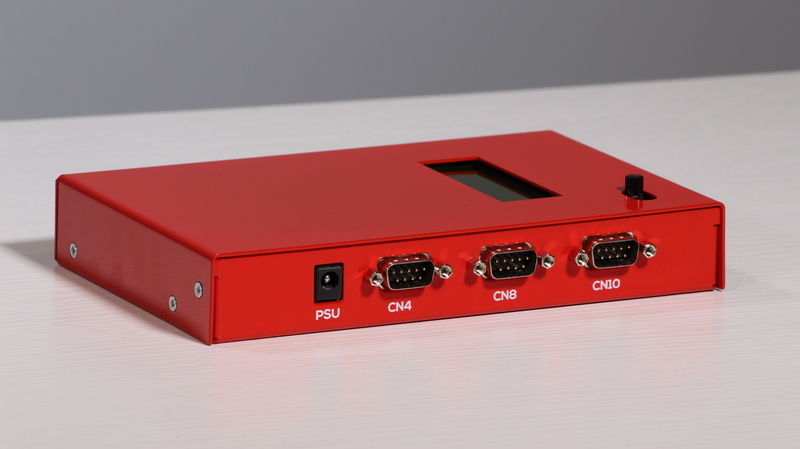 Each offer their own distinct advantages, however, when it comes to PCBs with connectors on opposing sides, the L-Shape enclosure is a clear winner. Unlike with a U-Shape enclosure, you will not have to stretch or bend one of the enclosure’s sides to accommodate your PCB. Work smarter, not harder with Protocase, by designing your next L-Shape or U-Shape enclosure in Protocase Designer. 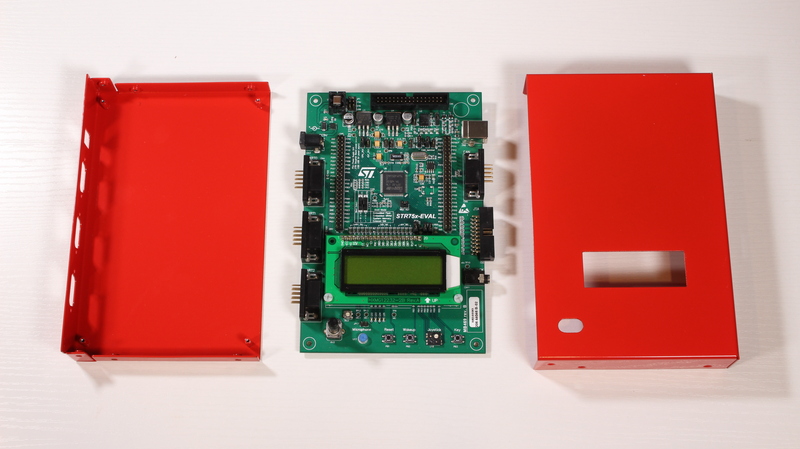 Our free enclosure design software allows you to design in minutes what normally takes hours. Download Protocase Designer and give it a try! Or, if you love another CAD software and prefer to stick with it, why not download our L-Shape or U-Shape CAD template in your required dimensions? Save yourself time, and get right down to customizing your design to what really matters for your project. If you have ideas for design resources you’d like to see, share your thoughts in the comments. Happy designing!